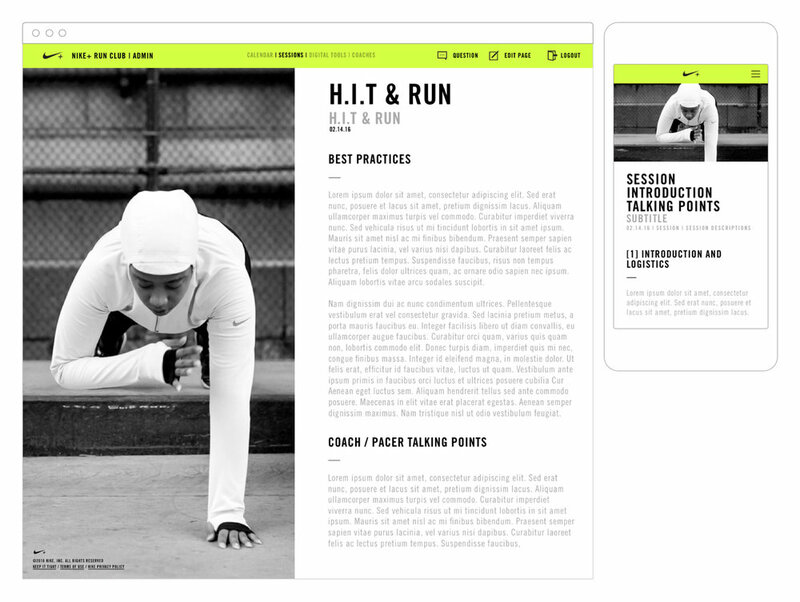 This platform was designed to keep Run Club coaches up to date on all the latest and greatest Run Club information. View the calendar, check current session outlines and read up on best practices. Users can also ask questions and coordinate with other coaches.